Friday nights are movie night our house. So with the release of DreamWorks TROLLS Party Edition on Blu-ray, I figured I’d mix things up a bit. To go along with the movie, my kids and I made a big batch of our Glitter glue slime recipe. 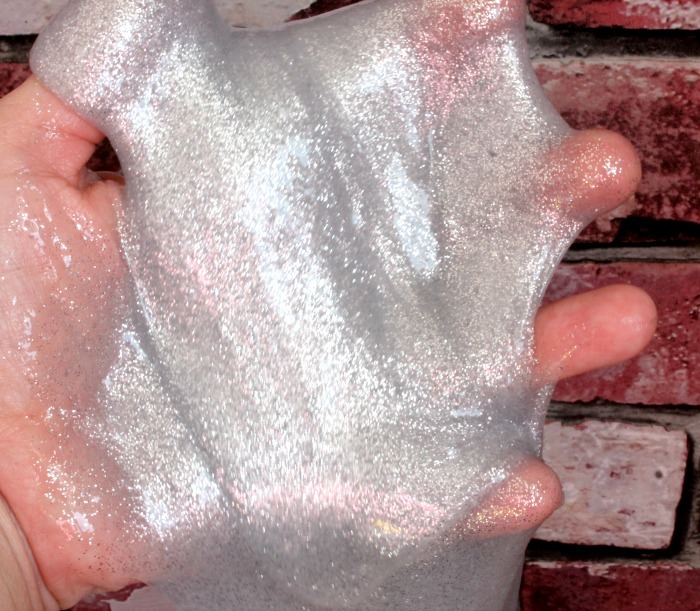 After making this glitter slime I have to tell you that this is probably one of the best slime recipes we’ve made. I love how glittery the slime turned out. 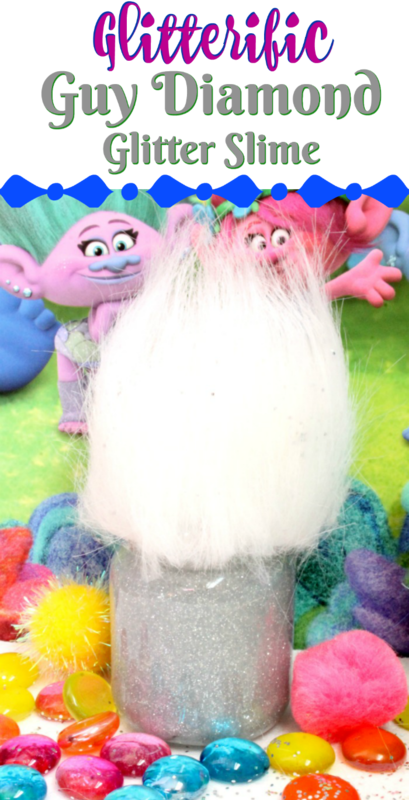 So because our slime is Trolls themed we decided to make a sliver glitter slime because it reminded me of Guy Diamond. 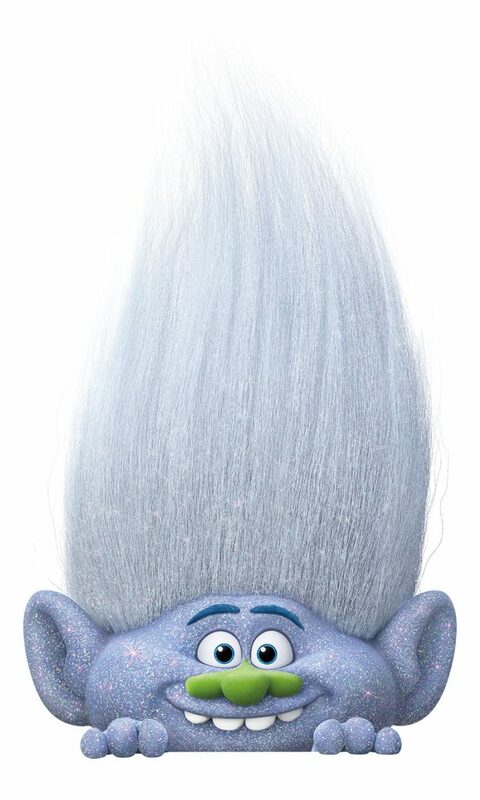 GUY DIAMOND aka “naked glitter Troll,” is one of my favorite characters from the Trolls movie. He is basically a big party on two feet. 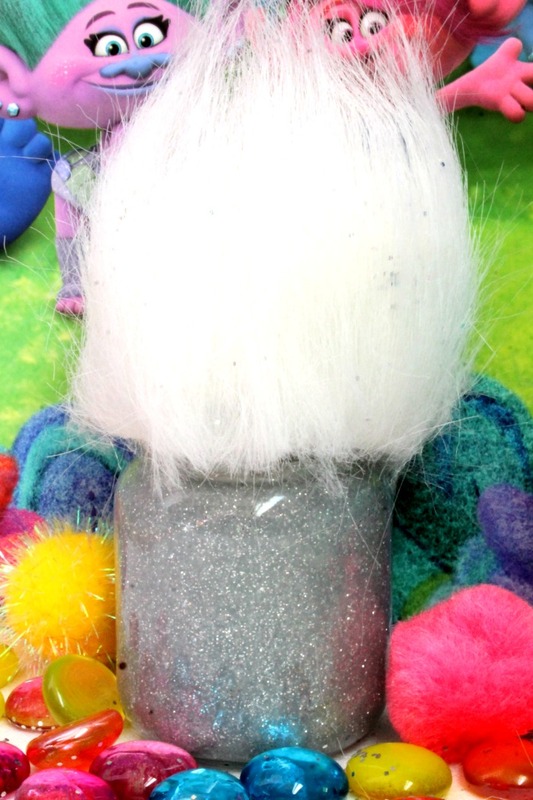 And since the kids and I love all things glitter it would only be right to chose this fun little guy to make our Glitter Glue slime recipe after. 1 5 ounce bottle of Elmer’s Glue, Clear or White. 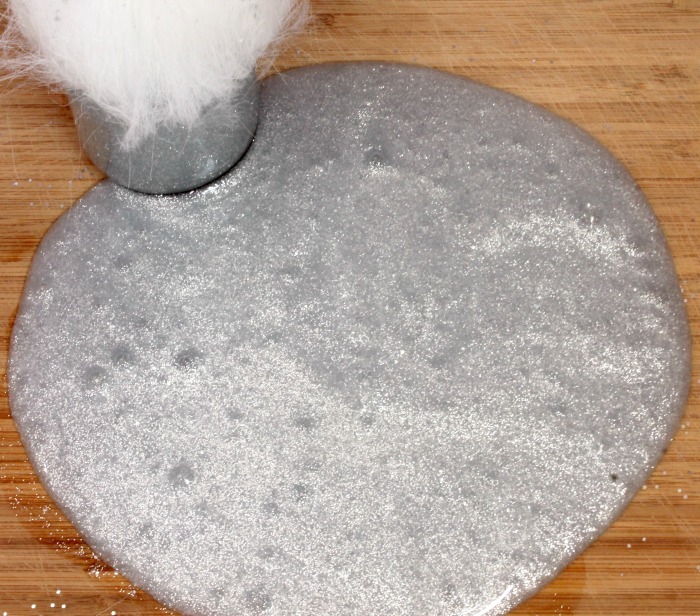 This glitter slime recipe is super easy and only requires a few steps. First you’ll need the base of the slime which is glue. I recommend using Elmer’s glue, to me it just works the best. Pour the entire 5 ounce bottle of glue into a large bowl. Next add 1/2 cup of water to the glue and lot’s of sliver glitter. You can use as much as you want. Stir these together well. The last step, and most important is the borax. Add in around 1 tsp of Borax to 1 cup warm water. Mix well. Slowly stir this mixture into to the glue mix. Make sure you add this in a little at a time, stirring well each time. Once you get the consistency of slime you want then don’t add anymore. Knead the slime together for a good 1-2 minutes. If it’s too sticky just add in more of the Borax water. One of the best parts of the Trolls are their colorful and soft hair. Diamond Guy actually has a whitish gray hair color with glitter. 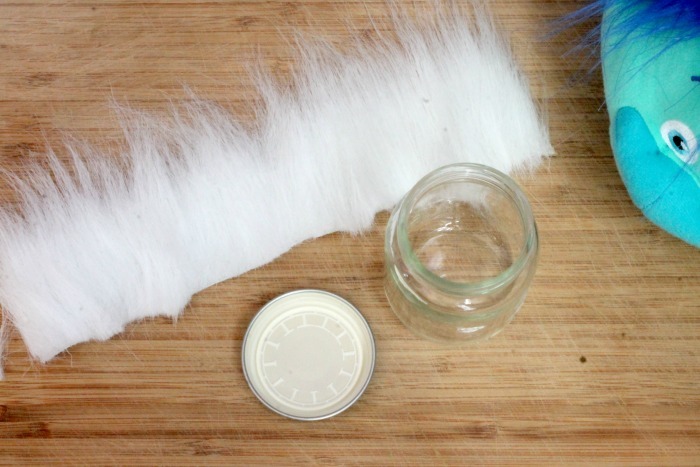 So for the top of this Trolls Diamond guy container you will need a small glass container such as a baby food container, a hot glue gun and glue and white felt fur. 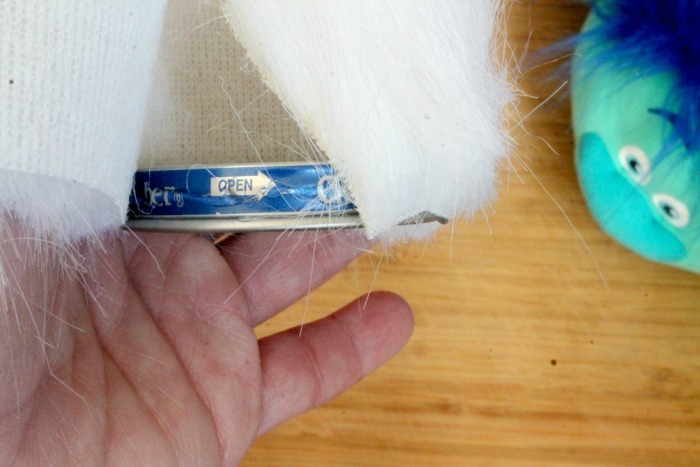 Take a small strip of the felt and glue it around the edge of the lid. Make sure you wrap it completely around and don’t go below the lid. This will make it harder to screw onto the jar. We had so much fun making this glitter glue slime recipe. It was such a fun craft to make. You and your family can make this craft too and Bring Home Happy with DreamWorks Trolls on Blu-ray and DVD. If you like this craft you can pin it on Pinterest and follow my Trolls Party Board for more fun Trolls inspired ideas. Disclosure: I am a Fox Home Insider and received materials to facilitate this post and giveaway. All opinions are my own. Where can I get the white felt fur? how much does this recipe make?